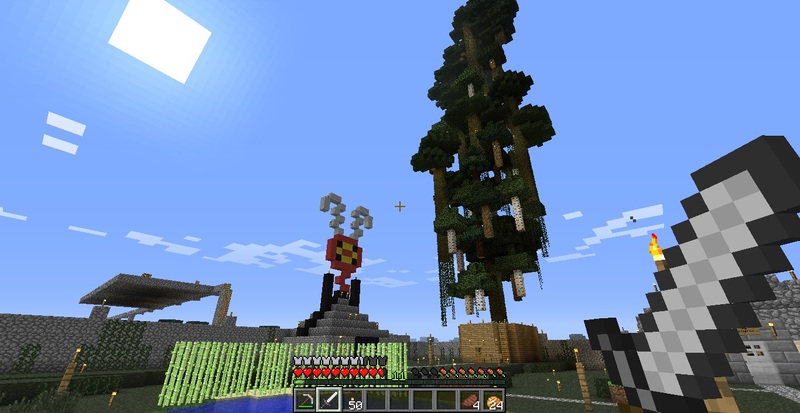 Minecraft is one of the most popular independent games around. It has been available publicly since 2009, although the official release of the full version was on November 18, 2011, almost exactly one year ago. The game is defined on its own wiki as a "sandbox construction game ... [that] involves players creating and destroying various types of blocks in a three-dimensional environment". This vague description doesn't really explain the greatness of the game. It even makes the game seem more like a toy box than a typical video game with clear goals. 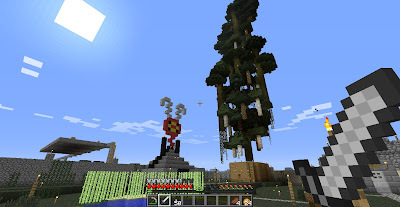 Minecraft is unbelievably successful, having sold 8,102,029 copies at the time of writing. It enjoys a strong community on the PC, its primary platform. It has even surprised many by dethroning Call of Duty as the most played game on the Xbox 360 during the week of October 15th, 2012 (http://bit.ly/10f4mn8). This week, while playing Minecraft, I found myself slaying Enderman to work towards the main goal of the game (gaining access to The End and slaying the Ender Dragon); meticulously building a house with its very own waterfalls and floating forest; exploring the land to find an abandoned mineshaft, NPC villages, and impressive natural surface ravines and surreal landscapes; and implementing a teleportation machine system to sort of justify using the teleport commands as well a means to share discovered locations. The friends with whom I was playing built a Megaman sprite, a far more elaborate house than mine, and a sky railway to facilitate transportation to far-off lands. Only a fraction of our actions were towards accomplishing the main goal of the game. Who would have guessed that all these actions would have been possible in a "sandbox construction game ... [that] involves players creating and destroying various types of blocks in a three-dimensional environment"? Even though most of those goals weren't explicitly presented by the game, I was nonetheless drawn to complete them. I found out later last week that these new goals and actions are called resultant actions. In The Art of Game Design by Jesse Schell, two types of actions are examined. The first, operative actions, are defined as "the base actions players can take". 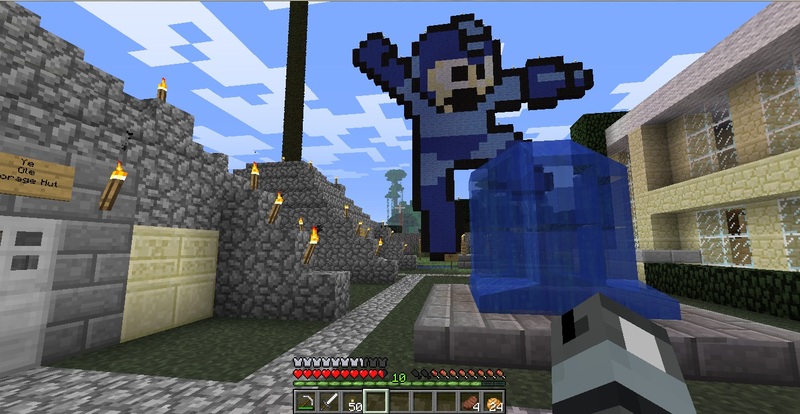 For example, Minecraft's base actions include movement, block creation and destruction, crafting, and combat. However, from these few actions spring many other actions, such as the majority of the ones I wrote about having done last week in Minecraft. In other words, lots of new actions and goals were born from the few actions available to the player. Jesse Schell states that these are resultant actions, and that they "have to do with how the player is using the operative actions to achieve a goal". Here's a good article entitled "Telling Stories: The Continued Rise of Emergent Gameplay". Hacking and exploiting game flaws can also creates emergent gameplay, in both multiplayer as well as single-player games. While some emergent gameplay is definitely intended by the game designer, hacking creates unintentional resultant actions, which I find is an interesting thing to consider. 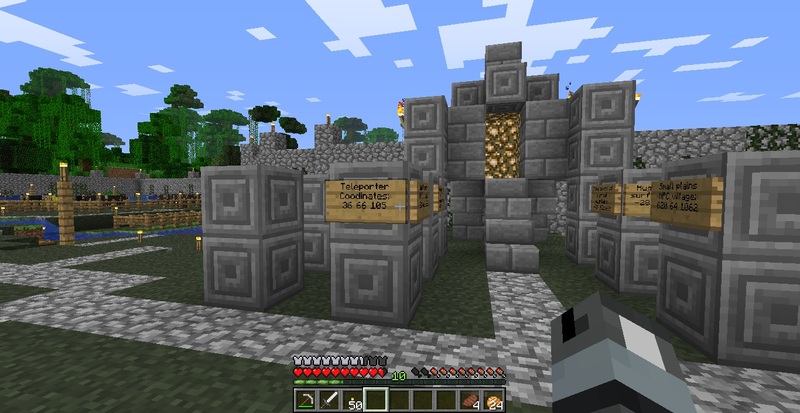 It was nice to finally find out exactly why I like games like Minecraft so much. Emergent gameplay is a quality that I think most gamers can feel when playing a game with lots of it. I felt it while recently playing Minecraft, but I wouldn't have been able to properly explain it without help from Jesse Schell's super interesting manual on game design. I'll surely be watching for emergent gameplay and seeing how my imagination can become part of the games I play. Holy moly what a great time I had yesterday playing To the Moon. Released almost exactly one year ago, To the Moon is the latest game by Canadian development team Freebird Games. The game explores themes not often seen in video games. These themes are highly personal and human, such as memory, relationships and mental disorders, among others. For those who still don't think that video games can't convey meaningful content in the same way that can traditional mediums, like books or movies, play To the Moon. It might change the way you perceive the medium. 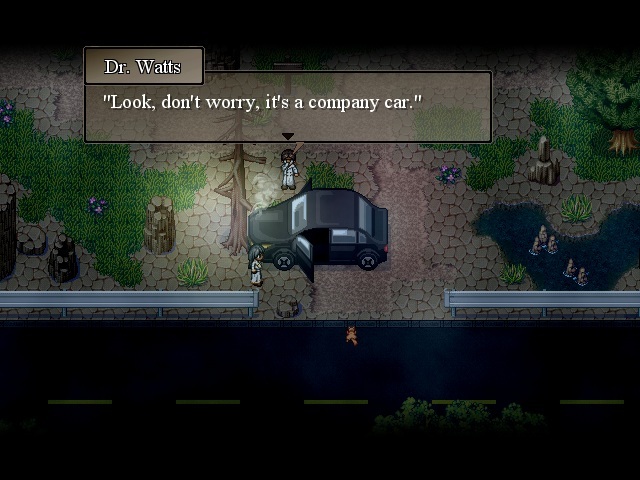 As stated on the official web site, the game "is an indie Adventure RPG, about two doctors traversing through the memories of a dying man to fulfill his last wish". 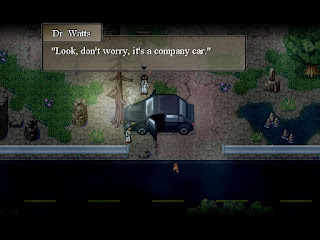 The playable characters work for a fictional corporation that specializes in one thing: altering a patient's memories in a way that he or she believes they actually happened. The player delves further and further into the life of the patient through a special machine. Exploring memories this way works well in a video game, much like the animus system of the Assassin's Creed games. The main difference between these two games is that To the Moon's narrative is incredible, and not just "for a video game", and it only took three and a half hours to deliver, not thirty. While playing To the Moon, I realized that there really is a difference between a game and the experience it delivers. There is nothing particularly challenging or technologically impressive about To the Moon; that being said, it is now one of my favorite games. The gameplay? Mostly walking around with either the mouse or arrow keys, interacting with NPCs, or solving one of the many puzzles to progress the story. By no means an ugly or broken game, nothing really stands out with the gameplay or the technology itself. The experience? An amazingly crafted, deeply personal tale centering on the fulfillment of a dying man's last wish. It's definitely one of the best stories of this kind that I've seen, no matter the medium. On top of that, it's also definitely a game, and not just an interactive story. I've never experienced a game like this. For this reason, it's tough to put into words how I feel about it. It's kind of like being blown away by a movie, but not by the cinematography itself; or being truly moved by a novel or book, but not by the writing style itself. In these cases, the artistic medium is exactly that : a medium through which an experience is delivered. To the Moon runs in the RPG Maker engine. 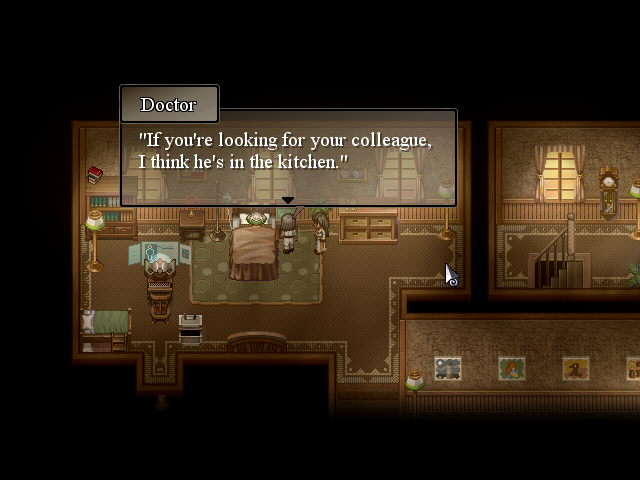 Even though To the Moon is more of a story-driven adventure than a traditional RPG, they've put the engine to good use. Having spent a significant amount of time working with the engine, I quite enjoyed playing a game made with RPG Maker since I got to see to what it was capable of when used well. The fact that such a powerful experience was conveyed through the RPG Maker engine showed me that it's possible to deliver a great game through an easy-to-use engine. One doesn't need to be a professional programmer to design a game with the user-friendly (yet highly customizable) RPG Maker engine. The game is a good example of how amazing content can be presented in a simple and dated form. I'd like to come back to the Assassin's Creed comparison. I recently bought, played through, and enjoyed Assassin's Creed III. The game is technologically impressive with its own cutting-edge engine, but the narrative, while not terrible "for a video game", is far from excellent. 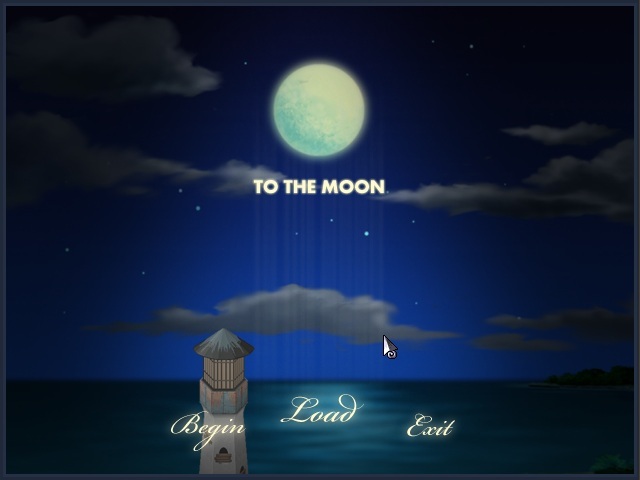 To the Moon is the opposite: while lacking technological excellence and impressive gameplay, the game delivers an exceptional, deep, universal, thought-provoking, and often funny experience unlike any other. The way I see it, there are two ways to evaluate these games. The first scale is based on the game elements, and on this scale, games like Assassin's Creed III would win hands down. It has an epic cinematic journey littered with side quests spanning 30 hours of cutting edge gameplay. By traditional video game norms, this is well worth the $70 price. It was for me, anyways, and with its impressive sales, it's safe to assume that it was for a lot of people. I walked away from the game satisfied. But will I remember this game experience in ten years time? I'm guessing not, since its qualities are mostly technical and on a gameplay basis, things which evolve rapidly enough and noticeably improve year after year. The second is based on the quality of the experience, and it's on this scale that games like To the Moon shines. I was surprised at how well the story of To the Moon was executed in the span of only three and a half hours. Assassin's Creed III, far more technologically advanced, tried hard to make me care about its characters, but even after 30 hours, it hadn't really succeeded. I guess that's not the point of the game anyways. I got a much more fulfilling experience with To the Moon, and all I needed to give was about four hours and ten bucks. On this scale, To the Moon is evidently a much better deal than Assassin's Creed III, although it all depends on what you're looking for from your game. Technology ages; an experience does not. I often find myself excited and wanting to share my thoughts after playing a good game. Unfortunately, I often take it out on whoever is around me, like roommates or friends, even though I know they probably don't want to hear it. Enter Joystuck, a blog I created to spit out all my ideas and thoughts on video games without having to annoy everyone around me! As an added bonus, people who are interested can read and share their own thoughts. Here I will share my personal experiences with games, my impressions and interpretations, as well as thoughts they provoke. Hopefully, the posts won't be too long and boring. Feedback is encouraged: one of the goals of this blog is to share my video game experiences with people who might want to do the same. Don't be afraid to get lost in play, or joystuck!